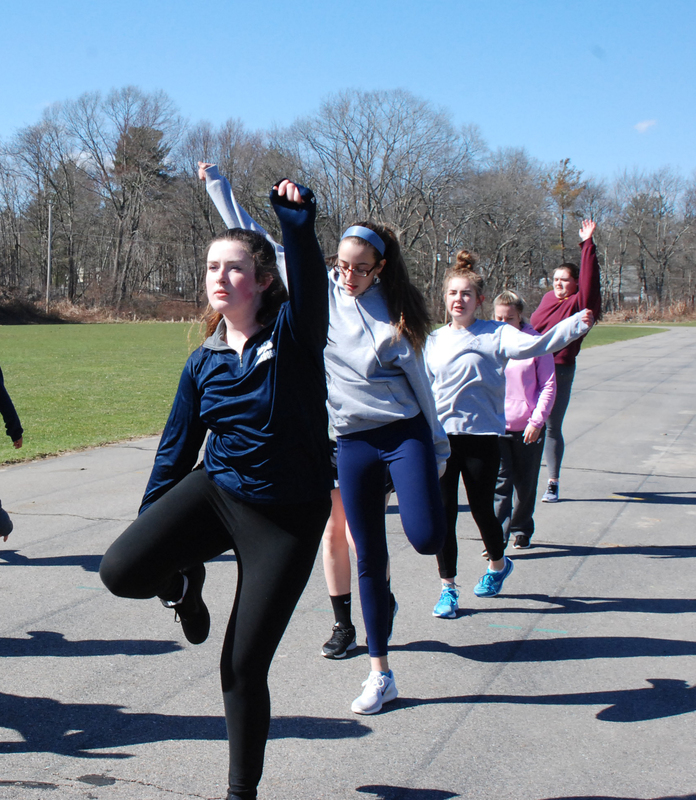 As the spring season rolls in, the Rockland High School girls track team is chomping at the bit to start their season. The team is full of talent, with athletes that can make an impact in every event. Two talented athletes on the team are senior captains, Lily Matson and Arianna Roosa. Matson, a Brockton Enterprise All-Scholastic and three time league All-Star, has competed in the MIAA State Championship and has medaled in all three seasons of her career thus far. The Colby College commit competes in several events, but her main events are the 100 meter hurdles, triple jump, and long jump. Matson is looking forward to watching the younger athletes on the team grow as they have great potential. As for Roosa, she has been a South Shore League All-Star and finished in the top five for the entire state in long jump last season. Roosa competes in multiple events including the 200 meter, 4×1 relay, and the long and high jump. The senior’s favorite part about the track season is the passion her coaches show to her, and all of her teammates after finishing an event. The team has their sights set on winning a league title. Although each athlete has personal and individual goals, the team is always the top priority for the girls track team. Coach of the girls track team Coach Murphy values the team aspect in the sport. The team is excited about the young and improving talent it has to offer, but make no mistake, they will stick to their top guns with Matson and Roosa leading the way, as their events will be ones they expect to win this season. “We are looking to score highest in long jump, triple jump, hurdles, and the 100 and 200 meter sprints” said Murphy. The girls track team is aiming to have a successful season and will have contributors from all over the team. The team has an opening and welcoming environment where athletes new to the sport can grow and find an event they excel in.